Steven Zaillian's eight-part HBO limited series gets off to a gripping start in the feature-length premiere (now streaming), but is it about bad luck or bad men? Naz is having a great night. The quiet college kid (played by upcoming “Star Wars: Rogue One” star Riz Ahmed), who still lives with his parents, scored an invite to a party with the basketball players he idolizes. Not only that, but it’s in Manhattan and “girls” are promised to be there. What more could a shy but eager young man ask for? Better yet, before he can even find the hot spot packed with single ladies, he meets one on his own. Things progress nicely, if a bit strangely, and Naz lives out every college boy’s dream night. Until, that is, it becomes a nightmare. It’s safe to admit as much without a spoiler warning, considering there’s no secret, no pretension whatsoever, that Naz’s night is heading toward any outcome other than disaster – even if he can’t see it. Directed and written by Steven Zaillian (“Schindler’s List,” “Moneyball”), “The Night Of” presents Naz’s excursions as if we, the viewer, are gathering evidence against the man long before he’s suspected of doing anything at all. His night out is captured with an emphasis on the strangers you and I forget we bump into the next morning, security cameras we don’t think twice about recording our every move and nosy observers we didn’t even know were watching. “Foreshadowing” doesn’t adequately encompass what Zaillian constructs: He’s building a case before charges have even been filed (a point made literally later on). There are times in the feature-length premiere where this kind of self-awareness becomes too imperious to feel as miraculously coincidental as it’s intended — especially after the night transitions into early morning. 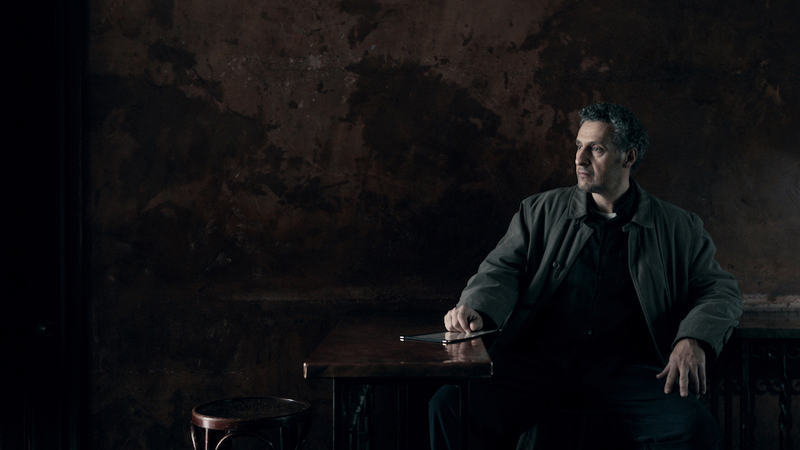 But the bigger question after tensely holding your armrests through “The Night Of’s” first hour-and-a-half is what, exactly, the series is aiming to prove. Big themes are brought up throughout. Race is a predominant factor, as Naz hears muttered slurs and epithets directed at him from future witnesses and cops. The police are shown as overworked and poorly organized. Long hours lead to frustrated boys in blue and chain of evidence is broken on accident due to poor communication. Naz makes a few mistakes based on the belief he can speak openly and honestly to a man actively building a case against him. Why? He’s just a kid, and kids trust the police, especially when they “know” they haven’t done anything wrong. Zaillian’s presentation is extremely detailed with precise language that feels relaxed and authentic. In such meticulous craftsmanship lies an implication of relevance to come, similar to how the security camera footage and emphasis on tertiary characters portended Naz’s arrest. But to what end? To what greater purpose does all of this hold? It’s too early to tell, even if two outcomes seem likely. 1. Is it about how bad luck, the justice system (which, so far, is working pretty well) and racial prejudice can railroad an innocent man into life in prison (New York does not have the death penalty), or, 2. is the limited series showing how effectively a bad man can hide behind the same American flaws? We don’t know Naz — not really — but it seems unlikely he’s capable of a “Primal Fear”-esque transformation in the 11th hour, meaning Zaillian is aiming at bigger targets. How “The Night Of” builds its unfortunate but understandable coincidences into enraging injustice will prove key in the coming hours. For now, it’s a tight, tempting tale walking a tight-rope between truly great TV and off-target exploitation. Considering the pedigree, it’s hard to imagine “The Night Of” succumbing to the latter, but it would be criminal not to note the possibility.